This year, the school has adopted a modified block schedule. There are two periods – one at the beginning of the day, and one at the end – that are normal periods, meeting every day. 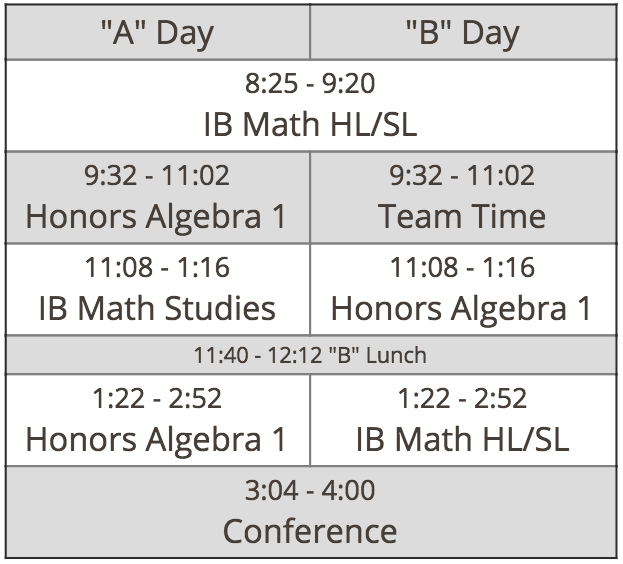 Then there are six block periods meeting every other day – three on “A” days, the other three on “B” days. As you can see, all of my Honors Algebra 1 classes are blocked, so they will be following a simpler Flipped Classroom format. And IB Math Studies is a “onesie,” so that’s an easy flip too. But some of my IB Math HL/SL classes meet for 55 minutes every day, and some meet every other day for 90 minutes. Over a two-day period, that’s a discrepancy of 20 minutes! 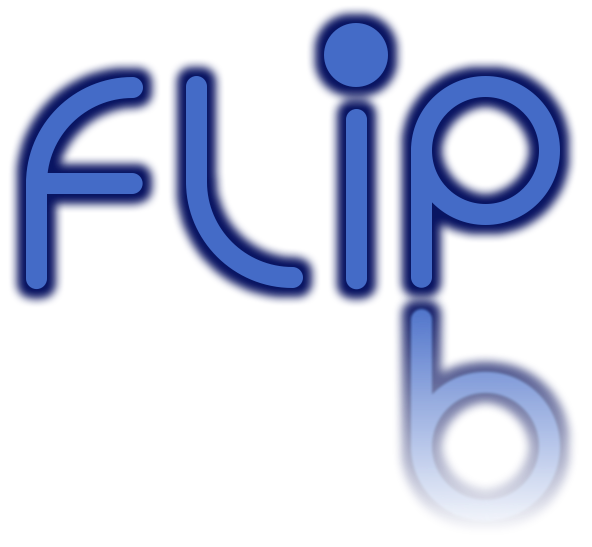 The solution: Flipped Asynchronous Classroom! I’ve used (somewhat) in my IB Math classes so far, but it has never been as necessary as it will be this year. How does it work? To make the classes truly “asynchronous,” I give them all of the assessment dates for the year, in advance, and they work at their own pace to make sure they are ready for each formal assessment. I also give them a “pacing guide” so that they can tell whether they are ahead or behind. During class I keep track of their progress and answer individual questions. If any student gets too far behind, I have a conference with them. If it becomes habitual, I contact parents so that we can find better solutions. Because these students are seniors, I believe they will benefit tremendously from this true Flipped Asynchronous Classroom model. It encourages them to do a little bit of work each day, rather than do it all right before the test. Now for Honors Algebra 1: In order to flip these classes, I have set up pages using Blendspace. Each page has a set of tiles, and each tile has a link to either a video, a page of notes, or an interactive activity to reinforce the knowledge. Students will be required to watch the video and take notes during the evening, and show me their completed notes in order to participate in the class activity. If they haven’t done this, they will be required to watch the video and complete the notes during class, instead of participating. This should motivate students to get their work done in the evening, especially since it’s just a video and notes, not a bunch of practice questions. This should prove interesting, because these are freshmen, not seniors. It will be a steep learning curve for them, but I know this, and I plan to help them a lot in the beginning. I’m very excited for this year. Yes, it will be an interesting experiment, but I love a good challenge!